Lightgliders: Joy and Snowman Heads! Last week was such a blast! 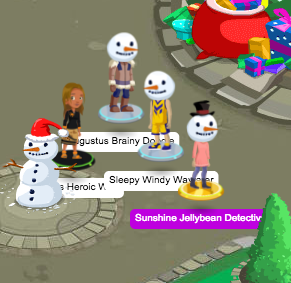 It was a week filled with Christmas spirit as we gave out gifts and played games in our Snowman Heads! Everyone looked amazing! As we get closer to Christmas, let's remember why this season is a celebration of life, blessings and love. Keep spreading joy to others all this week and we will see you soon!